Great art comes from great pain. Or that's the impression left by these haunting profiles. Pieced together, they form a revealing mosaic of the creative mind. It's like viewing an exhibit from the therapist's couch as each entry delves into the mental anguish that afflicts the artist and affects their art. The scope of the artists covered is as varied as their afflictions. Inside, you will find not just the creators of the darkest of dark literature, music, and art. While it does reveal what everyday problem kept Poe's pen to paper and the childhood catastrophe that kept Picasso on edge, it also uncovers surprising secrets of more unexpectedly tormented artists. From Charles Schultz's unrequited love to J.K. Rowling's fear of death, it's amazing the deep-seeded troubles that lie just beneath the surface of our favorite art. 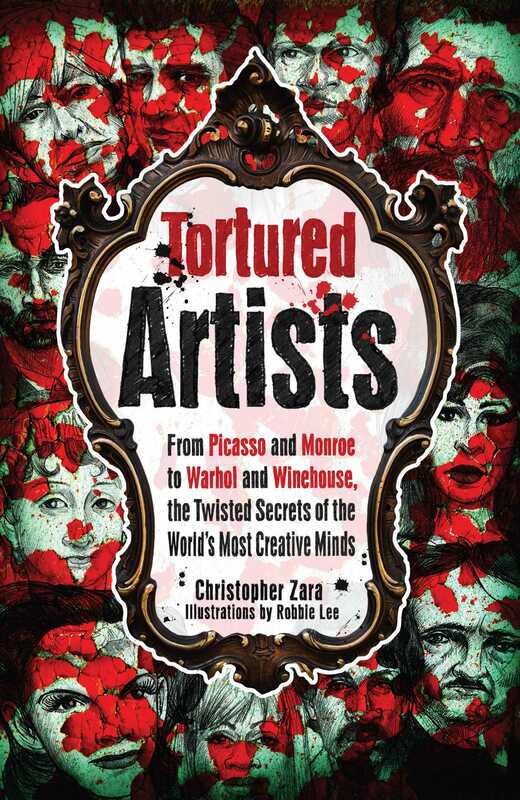 As much an appreciation of artistic genius as an accessible study of the creative psyche, Tortured Artists illustrates the fact that inner turmoil fuels the finest work.